We commit to everything we do, investing on the continuing technical development of our consultants in order to achieve the objectives defined by the clients. Conducting theoretical and practical tests to gauge the level of knowledge of each candidate. We make sure each of our consultant fits into the clients’ work culture and methodologies. We provide training in real work context, according to our consultants’ needs. If incompatibilities arise for any reason, we guarantee a solution that will satisfy both parties. The satisfaction of those who work with us is our main goal. 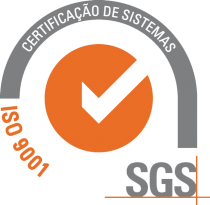 That is why we are certified to ISO 9001:2015 standard (context of the organization: outsourcing, Aveiro), showing our quality commitment to our consultants, clients and candidates. We ensure the satisfaction of our consultants through the internal monitoring of activities and processes, such as close and regular follow-up. This allows the identification of needs and expectations and their subsequent management. The control of these factors promotes better and easier integration into the team and streamlines the performance evaluation process is based on a meritocratic and transparent perspective. Equality of opportunity, team spirit and the fit and satisfaction related to the project are one of our highest priorities. The consistency of the service provided is the basis of a satisfactory and lasting relationship. To do this, we often evaluate the service we provide, paying special attention to the areas that we can be improved in each stage of the process. We respect the uniqueness of each client, promoting customized solutions and narrowing the relationship through segmentation. Our main goal is to help our clients achieve their goals / projects, integrating the best talents and establishing profitable relationships among all parties. We work with consultants specialized in different fields of Information Systems and Telecommunications. We have at your disposal various types of services to help you acheive the successful completion of your project. Our team is composed by experienced professionals who can ensure the development, maintenance and support of our clients’ IT needs. Our telecommunications professionals are experts on the design and supervision of telecom equipment installations. Professional achievement and the solidity of your career are our priority. Check out the opportunities we have for you and join the Dellent team of consultants.